From Werkstatte Carl Aubock, Vienna. Functional, sculptural, modern. Carl Aubock (1900-1957) was a Bauhaus designer. This piece was designed in 1948, and is still produced today in the family run workshops in Vienna. 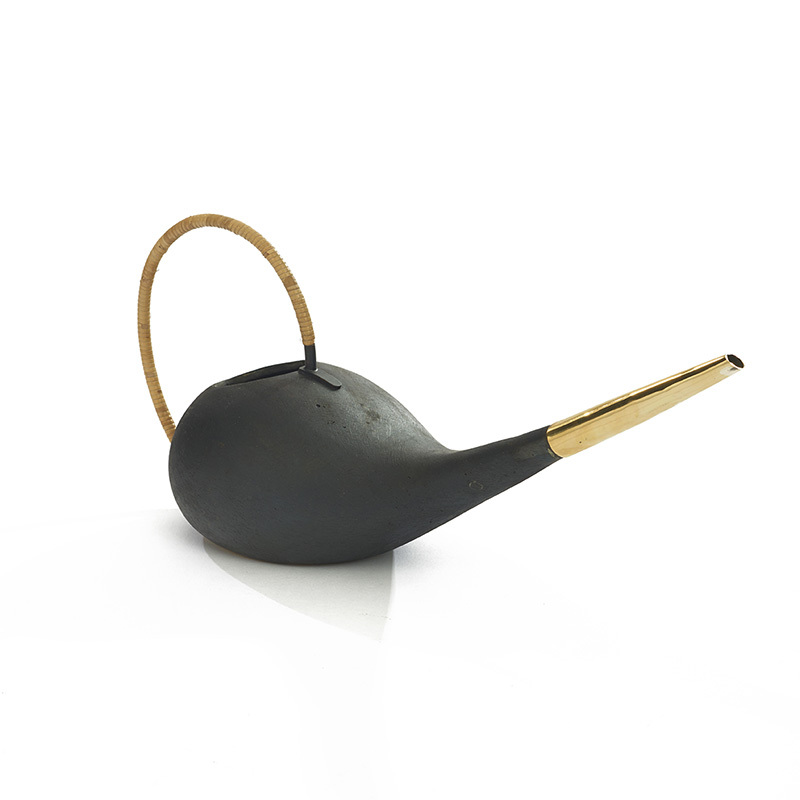 The watering can, combines function with sculptural beauty. This solid brass watering can has a handle wrapped in cane. It is too beautiful to stash away, use it instead to hold flowers on the dining room table or kitchen counter when not being used.